Pastor Cal has been called to minister to the equine industry. 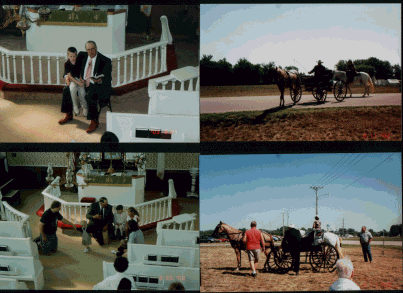 He has preached at the National Appaloosa Horse Show for the last 3 years. 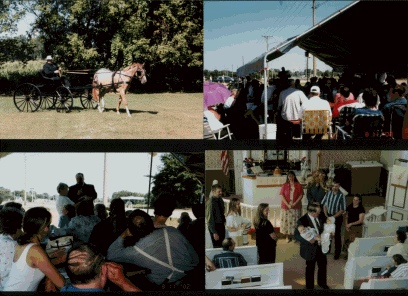 In 2006, Pastor Cal preached at the Covered Bridge Days, Brodhead, Wis. in the sesquicentennial celebration. If you wish to provide worship services at your equine event, Pastor Cal would be happy to serve you. If you are ladden with a heavy burden please feel free to contact us at (608)897-4648 or e-mail appaloosas.c_n@tds.net. "Where two or three are gathered in my name, I am in their midst."